The Philippines had 3 important conquerors- Spain, the United States and Japan. Among them, Spain ruled the longest for 400 years while Japan the shortest, for 3 years. But it was to be the United States who would leave an indelible mark in this country. The US influence was so strong, so pronounced that in 30 years, they were able to obliterate nearly all Spanish influences and turned the Philippines into a 98% English speaking country. Japan ,however, is significant in the sense that it is an Asian country and although small in size, was able to defeat the all –powerful United States . Even only for 3 years, it was still a very great feat indeed! In the course of our history, many men and women played important roles in eventually setting us free from the hands of the conquerors. Many tried, many failed , many succumb to the powers of the invaders, who were all superior to us in terms of arms and technology . Towards the end of the 19th century, Spain was no longer the Super Power she used to be. On 10 December, 1898, by way of the Treaty of Paris, she ceded the Philippines , together with other colonies –Guam and Puerto Rico, to the United States for USD $ 20,000,000.00. This marked the rise of the US as a colonial power in the world. When President Emilio Aguinaldo declared independence from the window of his palatial home in Kawit., Cavite on 12 June, 1898 ( the first Filipino President and a native of Cavite, my home province), there was actually nothing to declare because the Americans simply took over where Spain left. The Americans duped the Filipinos into thinking that they were helping us gain freedom from Spain but they had their own greedy motives and interests to look after. Therefore, it is not surprising that Filipino sentiments for the US at the turn of the 20th century were neither friendly nor cordial. It did not sit well with us ,having fought Spain so hard in order to be free, just to have a change of masters. The hardest of the die –hards, as noted Filipino historian and author Nick Joaquin calls him, was Gen.Artemio Ricarte, whose nom de guerre was Vibora (the Viper), an alias that suited him so well. He was literally the last man standing up against the formidable United States. Up to the end of his life, he refused to swear allegiance to her, in pain of prison and exile. Ricarte was born on 20 October 1866, in Batac, Ilocos Norte. He was a school teacher who was assigned in San Francisco de Malabon (Now Gen.Mariano Trias), Cavite.From then on, he was of Cavite. 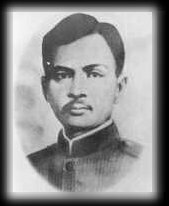 He joined the Katipunan ( secret society advocating armed struggle for independence against Spain, founded by Andres Bonifacio) in 1896 and continued the battle for freedom against the US well into the middle of the 20th century. Let us retrace his steps towards the end, where he died of dysentery in the highlands of Kalinga Country on 31 July, 1945 at the ripe old age of 78. By the 1900s, the US was beginning its pacification campaign against agitators they called bandits . Except for the south in Mindanao, all corners of the Philippines were already under US dominion. There were uprisings left and right, which just proved that it was not as easy as they thought it would be. Many Americans died and many more Filipinos would die in order to pay the high cost of freedom. On 7 Jan., 1901, Ricarte was shipped to Guam because he refused to swear allegiance to the US. On 23 December, 1903, he was sent back to Manila and stayed there until 1904. During this time, the Viper wasted no time in organizing his men and trying to raise funds to buy arms to fight against the US. He was able to elude capture because the common people supported and protected him. But by 29 May, 1904, he was caught and on 7 June, 1904, he was tried and found guilty of sedition. He was sent to Bilibid prison and there languished for 6 years in solitary confinement. Still he refused to swear allegiance to the US. On 26 June, 1910, he finished his sentence. Immediately upon his release, he was arrested again by American agents and taken to the American Customs House.The customs officer bade him to take the oath.He refused. He was 44 years old. The hard lonely life of prison failed to curb his fighting spirit. Back to exile in Hong Kong he was sent..But the Viper’s recalcitrant heart refused to give up. In 1912, two uprising were traced to him.One was the April attempt in Pangasinan and the other was called Ricarte’s Fourth of July plot, which was the more serious one. Both were unsuccessful attempts ,however. In 1914, and still in exile in Hong Kong, the Viper would proclaim the constitution of the Republic set up in the Philippines and Guam. The Philippines shall be called Rizaline Islands, with Guam included.The terms “Filipino “ and “Philippines” shall be abolished. When World War I broke out, the English in Hong Kong refused to harbor agitators like Ricarte. With his wife, he found asylum in Japan. There he lived peacefully teaching Spanish in Tokyo and running a restaurant business in Yokohama. There he stayed through the 20s and 30s buried in oblivion. In the meantime, the US did a good job brainwashing the Filipinos through the public school systems and the local politicians. By 1914, a new set of youths were growing up who looked up to the US and imitated her ways. The picture of Japan as an ogre was perpetuated by the United States.We didn’t always think that way. In fact, our own heroes looked to Japan as some kind of Savior. Another World War broke out and in 1942, an aging Ricarte was back in his homeland, now accompanied by the Japs who thought he still had a great influence here. But Ricarte was a man displaced in time...it’s as if he was frozen in time. Everything he knew about the Philippines was now outdated and relevant to the country only during the Spanish era.But to Ricarte, he was merely running a cycle. Here he was, with an Asian power whose motto was “Asia for the Asiatics”. Better the Japs who were blood brothers than the US.The Viper thought he was continuing the revolution. This was the chance to kick out the US with the help of our Japanese brother.What sweeter revenge it would be and what vindication for Ricarte who, until his dying breath did not swear allegiance to the United States, unlike most of his contemporaries. Ricarte had nothing but contempt for this presumptuous Western Power.But it was not to be. Ricarte died, wasted by dysentery in 1945,escaping to the mountains of Kalinga. Author Nick Joaquin asks, “when stopped the Revolution?” It started with Andres Bonifacio in 1896 and he failed. It was picked up and continued by Emilio Aguinaldo in 1898 and he failed. When all else failed, it was Ricarte who picked up the pieces and continued the struggle against all odds, against time, against Spain and the United States ..and he didn’t stop until he ran out of air, coming back as an old man to the country he loved, thinking another power, an Asian power, would bequeath to his precious Philippines the freedom it so rightfully sought.The revolution stopped only upon his death on 31 July, 1945. In the end, his own countrymen turned against him, looking at him like the odd man out, his values and all that he stood for appearing to be irrelevant. The United States did a thorough and great job of turning us into little brown Americans.Ricarte’s heart must have been broken and shattered into millions of little pieces. But the Viper general would not give in. He died without swearing allegiance to the US .Even when he fell, he was still the last man standing. *Joaquin, Nick: A QUESTION OF HEROES (When Stopped the Revolution? pp.209-237).Pasig City, Philippines.Anvil Publishing Inc.1977.